What do Crianza, Reserva & Gran Reserva Mean on Spanish Wine Bottles? Spanish wine, especially the more expensive types are often called crianza, reserva, or gran reserva on the front of the bottle. The terms are often placed on the label where you might expect the type of grape to be, which has led to a lot of people to assume that these terms are a type of grape. In fact, these terms tell you how the wine has been aged, specifically the amount of time the wine has been aged in oak barrels, and are generally speaking to the quality, not style of wine. The three Spanish wine terms instead refer to the length of time the wine has been aged. Crianza: A wine labeled crianza has spent one year in oak barrels. Reserva: A wine that says reserva on the bottle has been aged for two years; one of these years has to have been spent in oak. Gran Reserva: These wines are aged for two years in oak and three years in the bottle. Joven: A wine that hasn't been aged will be referred to as joven (young), but you won't see it on the bottle. A young red wine from La Rioja is called a cosechero. Criado en Barrica: Some cheaper wines may have criado en barrica (aged in barrels) on the label. If it doesn't also have crianza, reserva or gran reserva written on the label, it means that the wine hasn't reached the criteria for these. It probably means the wine is between a joven and a crianza. Denominacion de Origen: Many wine regions in Spain are registered as a denominacion de origen, which means they are protected by European laws. This is different than vino de la tierra (below). Vino de Mesa: Spanish for table wine, this is not the American sense of 'not sparkling or fortified'. Instead, it is the lowest quality of wine, with no geographical origin allowed on the bottle, perhaps because the wine is from a mixture of regions, or because it has been exempt from being called a denominacion de origen wine for some other reason. Vino de la Tierra: Some wine regions haven't applied or can't apply for denominacion de origen status but want to protect the quality of the wine from their region in a different way. These wines may be known as vino de la tierra. The authority that protects these wines can be more strict than a denominacion de origen; vino de la tierra wine authorities are controlled by an external body, whereas denominacion de origen tend to be self-governed. The most famous Spanish red wine comes from the regions of La Rioja and Ribera del Duero. La Rioja is located in northern Spain just south of the Basque Country, right below the Cantabrian Mountains, where vineyards make up the Ebro valley. The grape commonly used for Rioja is Tempranillo, a grape native to Spain. The name is derived from the Spanish word temprano, which means "early," as the grape becomes ripe earlier than most grapes. Other grapes used for Rioja include Garnacha Tinta, Graciano, and Mazuelo. There's also Ribera del Duero wine, which uses Cabernet Sauvignon and Tempranillo grapes. 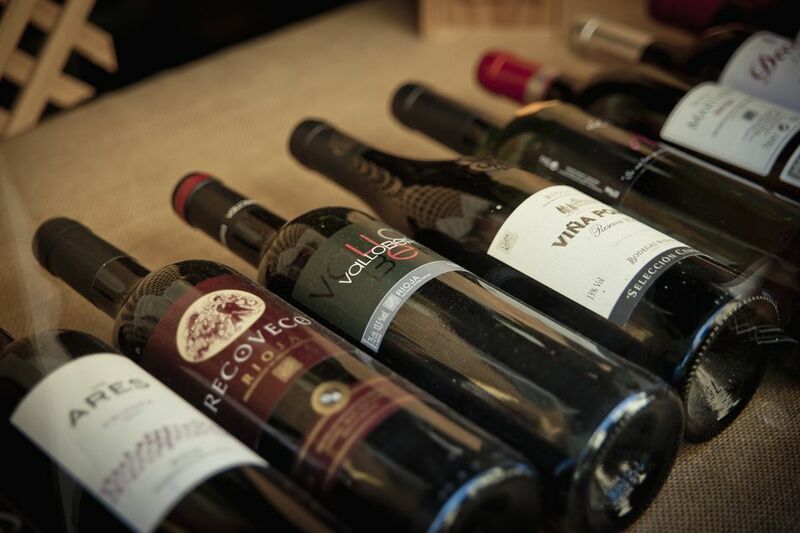 The most expensive wine in Spain, made by the notable Vega Sicilia winery, comes from the Ribera del Duero region. Although red wine is the most popular in Spain, there are some Spanish white wines available too. For example, White Rioja from Viura is a good choice, along with Ruedas, white Riojas, sherry, cava, Basque and Galician whites. The most famous white wine in Spain is the Rueda, which is grown in the Castilla y Leon wine-growing region, in the cities of Valladolid, Segovia, and Avila. The word, rueda, is Spanish for the word "wheel." The main grape used for a Rueda is the Verdejo. It is often blended with Sauvignon blanc grapes.